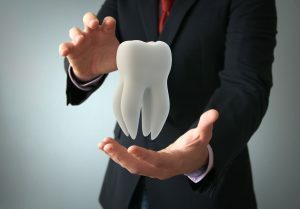 Your Implant Dentist in Marietta, OH, May Accept Your Insurance! Millions of Americans face the daily struggles that come with missing teeth. Those gaps can make it difficult to chew and speak properly — besides, it’s embarrassing to have an incomplete smile. You might be thinking about getting dentures or looking into other ways to replace your pearly whites. Have you considered dental implants as an option? They’re very sturdy and natural-looking, and they could last for a life lifetime. The best part? It’s possible that your insurance will help to pay for new chompers from your implant dentist in Marietta, OH. Go online and log into your insurance company’s website so you can examine all the juicy details of your coverage. There, you’ll find information about what your policy will and will not help you pay for. It’s pretty much a given that they’ll help with preventive care and most basic dental procedures. However, because implants are at the high end of the cost scale, they might not be included in your policy. If they’re not, you may need to shop around for a different insurance provider that will help to cover the price of your new pearly whites. If dental implants are included in your policy, it’s time to celebrate! It’s also time to get to your dentist — the end of the year is fast approaching, and you want to take advantage of your benefits before they expire on December 31. Also, it would be a good idea to check your medical insurance policy; it is possible that it will help to cover your implant surgery. If your insurance will help to pay for your implants, you’ll probably still have to pay a portion of the overall price. That’s why it’s important that you discuss the numbers with your dentist during your consultation. You might be able to arrange a payment plan or use a healthcare credit card so you can manage the cost of your new smile without too much stress. Insurance Won’t Pay for My Implants — Now What? If your current policy won’t help you get implants, you’re not up a creek without a paddle. Your benefits can still help you achieve the smile you’ve been wanting. One way they do so is by helping prepare your mouth for the implant surgery. Before you can receive implants, your dentist will want your oral health to be in good shape. If you have gum disease, for example, you’ll have to wait until that problem is taken care of before your sturdy new pearly whites can be placed in your mouth. Most insurance policies cover gum disease therapy without any fuss — you’ll be one step closer to your smile makeover! After your mouth is ready for implants, then you can start talking to your dentist about how you can achieve the sturdy, gorgeous set of chompers that you’ve always wanted. Before you know it, 2018 will be here. Now is the perfect time to visit your dental implant specialist in 45750 to talk about how you can be free of the burden of missing teeth. Dr. Jeff Lee is your oral surgeon expert in Marietta. He wants his patients to achieve healthy, attractive smiles in the most affordable way possible. If you would like to learn more about whether dental implants are a possibility for you, please contact our office at 740-236-9392. Comments Off on Your Implant Dentist in Marietta, OH, May Accept Your Insurance!